On Friday, October 3, from 5 to 9 pm, Middle Georgia Art Association presents “City Scenes” on display at Market City Café. 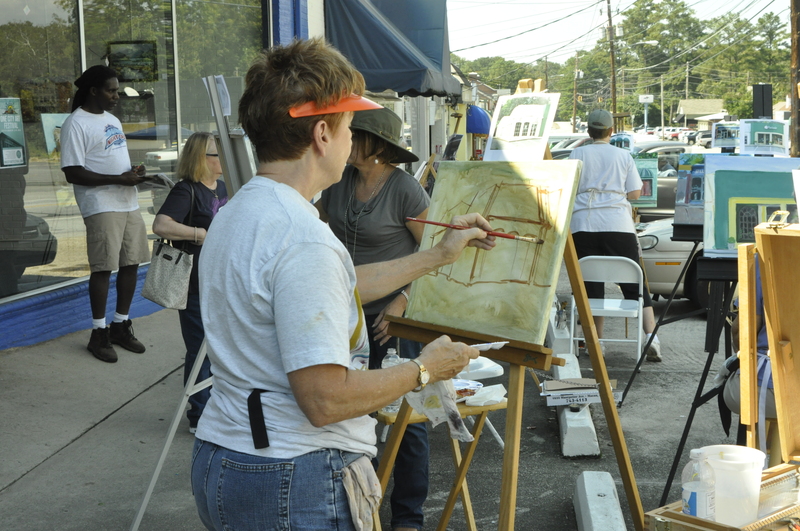 On Saturday, October 4, Middle Georgia Art Association presents Painting in the Round, 10 am-3 pm. Artists of all levels are welcome to join this event where artists take turns contributing to a painting of a local city scene. Easels will be set up with canvases and acrylic paints for participants to use. Each artists will be given a photo to paint from, however there is a twist! At designated times the artists will be asked to rotate to the painting to their right and paint on it. At the end of the painting session, each artist should have painted on each canvas. At the end, the paintings will be available for purchase. The public may come watch the artists at work, enjoy light refreshments, and see “Urban Inspired” on display in the gallery. “Urban Inspired” is an exhibit of art to the streets and street scenes to the canvas, cityscapes, and graffiti-inspired abstracts of everyday urban scenes by local painters and photographers. If you would like to participate or if you have questions, please call the MGAA gallery at 478.744.9557. Location to be announced. 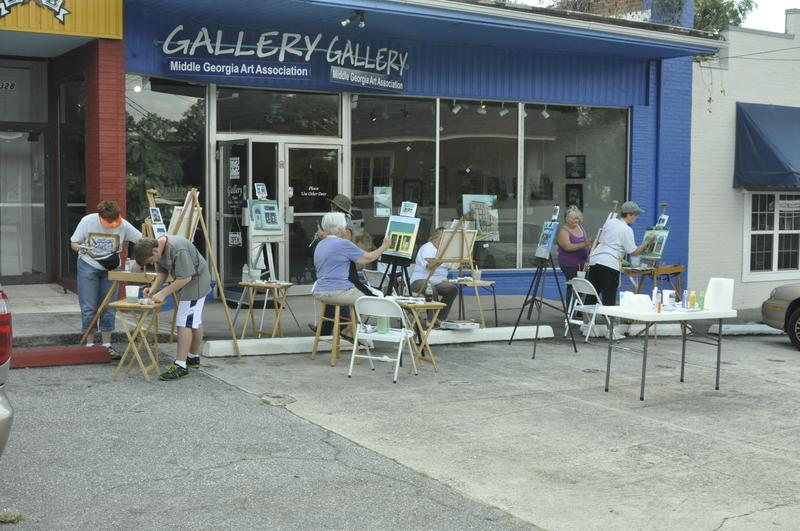 The Middle Georgia Art Association is a non-profit organization dedicated to the promotion of the visual arts since its inception in 1967. It presents monthly exhibits at the MGAA Gallery and at Market City Cafe. MGAA also sponsors the annual Mulberry Street Arts & Crafts Festival, the Youth Arts Festival & Scholarship Program, art classes, and educational programs for MGAA members and the community. MGAA is located at 2330 Ingleside Avenue, Macon. The gallery is open Tuesday – Friday, 12-5 pm, and Saturdays, 12-3 pm. Admission is free.